“BE HONOURABLE! I plan on making this show excellent. ARE YOU IN? Good news for people who like Josie Long: Josie Long is back with a new show after a year’s break. It should be a lot of fun. Are you a fan of breakfast-based humour? Nye Bevan? What about tired looking women from Kent? If so, I can fully guarantee that this show is perfectly tailored to suit your comedy needs. 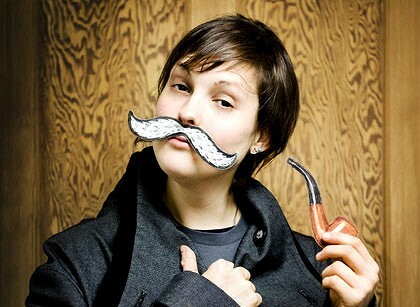 Josie Long is a remarkable and unusual comedian. This show will be the best one yet. Josie Long returns with a tremendous show that’s warming like her porridge fetish and passionate like her political convictions **** (The Scotsman). ‘What great comedy can be. Inspired and inspiring’ ***** (Metro). Support comes from Johnny Lynch – The Pictish Trail, folk singer/songwriter, vocalist of Silver Columns. Loads of his music can be found at his myspace page. James is a rapidly rising star of the British Comedy scene, an engaging storyteller with a naturally comedic physicality and manner. He effortlessly gets audiences on his side and keeps them there. Bottom line: he’s funny. He just is.